Let’s face it – despite all of our more sterling qualities, and current affairs notwithstanding we do have some, one thing humanity does not do very well is play nice in the sandpit with those who aren’t exactly like us. Or if we do think they could be useful to us or our agenda, we have a nasty habit of treating those different from us as commodities to be acquired rather than people to be interacted with. All of our best and worst qualities come into play in Midnight Special where a father risks everything, and I mean everything judging from the trailer, to save his son from those who fear his difference and those looking to use it for their own dubious ends. There is an intensity and emotionality to those kind of films which is very much present in Midnight Special, which reminds me of the very best of the movies Nichols references, and the very best, and alas worst, of humanity. 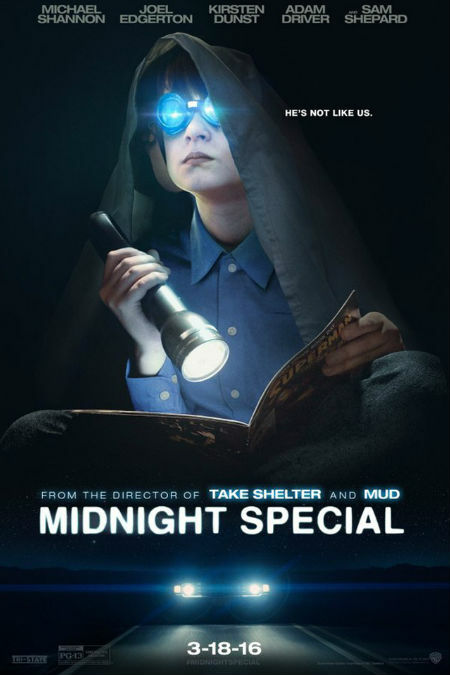 Midnight Special opens in USA on 18 March 2016; no date for Australia yet specified.